10/12/2010Share this story on Facebook! 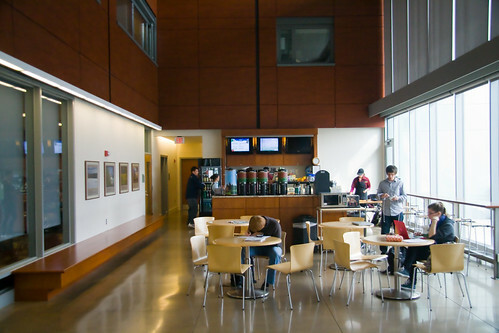 Ever wonder how college students find time to eat? It may not always be easy but Ithaca's campus does everything it can to give the starving student nourishment, even on the craziest of days. So you are running late to class, again? Fitting meals in between papers, studying, and extracurricular meetings is easier than you think. 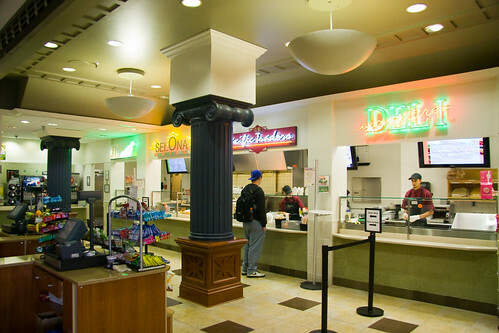 Take a look at these fast and a la carte dining options that keep IC students fueled and happy. 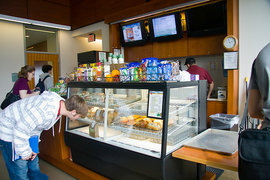 The Park Cart, located in the lobby of the Roy H. Park School of Communications, offers snacks throughout the day. Whether you need a bagel in the morning or a healthy salad or wrap for lunch, the Park Cart has you covered. Don't forget coffee throughout the day to keep you going! 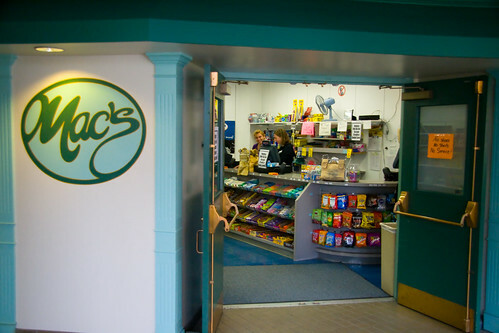 Mac's is your one-stop shop for anything you might need to eat on Campus. Students can use campus Bonus Bucks (or cash, of course) to purchase grocery and snack items. You can find everything from frozen meals to baking supplies to bags of chips -- even the college staple of instant mac and cheese. 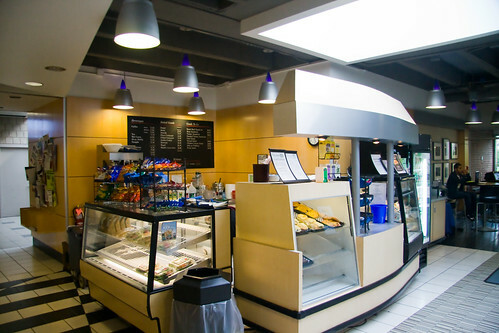 The Business School snack bar is situated in a beautiful lobby and offers a great selection of snack food, coffee, and quick meals for any student on the go! 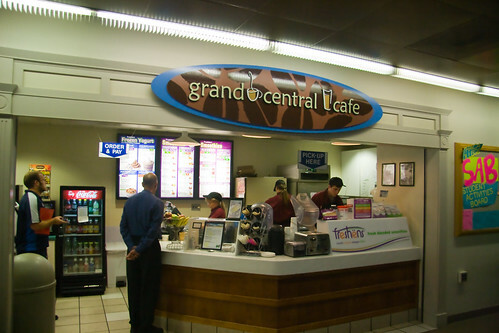 Grand Central Café, located in Campus Center, offers some of the best coffee on campus plus fantastic smoothies to keep you fueled when you're running from class to class. The food court in IC Square offers a la carte options ranging from salads and sandwiches to Chinese food and hamburgers. This is a great alternative when you don't feel like eating in the dining hall. 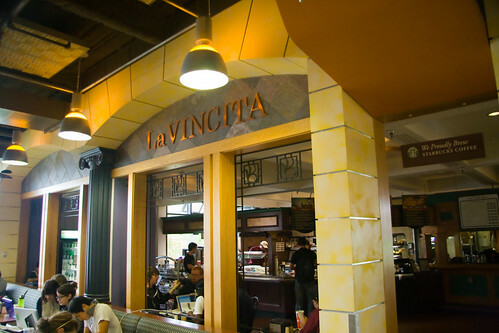 La Vincita offers gourmet coffee drinks and hot pizzas and paninis from morning until after dinner for all sorts of study sessions. Searching for some quick snacks? 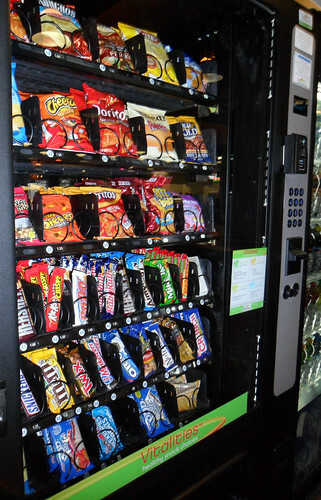 Try one of the many vending machines on campus. Don't have cash on you? They accept Bonus Bucks and ID Express, money that is attached directly to your student ID.